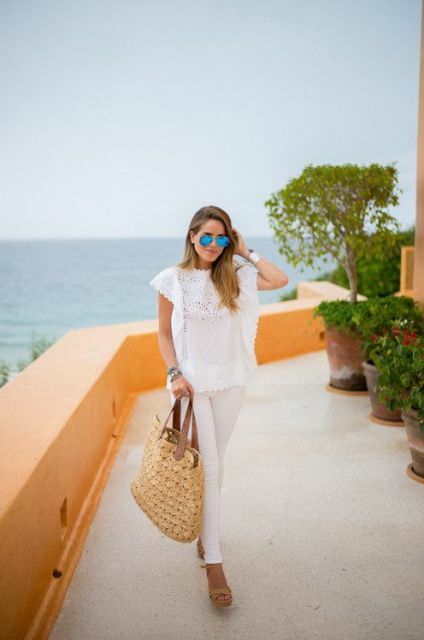 Do you agree with me that a straw bag is a perfect accessory for summer? Of course, yes! 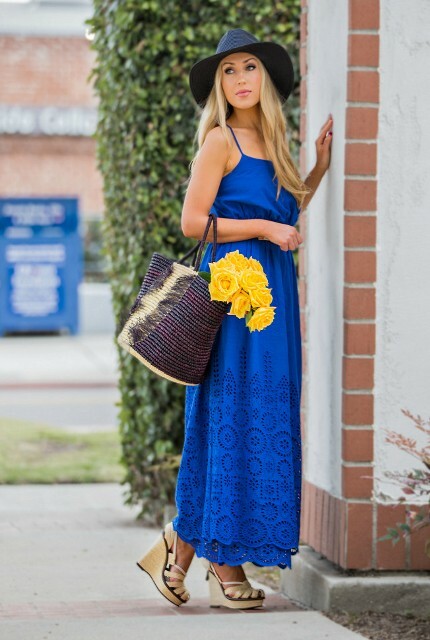 It ideally matches any summer outfit and makes you feel comfy and relaxed. 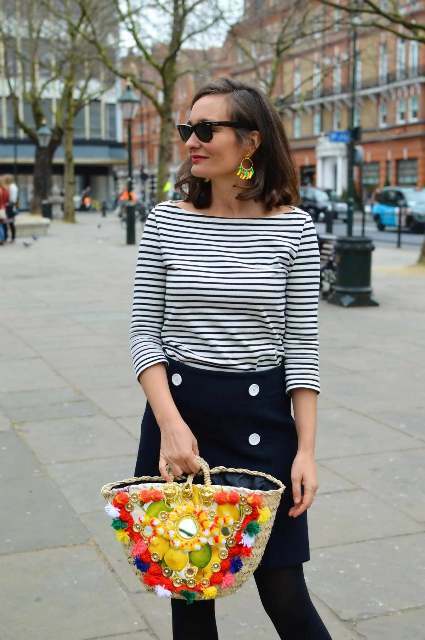 Many of us think that a straw bag is for picnics and a beach only. And yes, you are right, cause for years this type of bags was an obligatory accessory for these occasions. 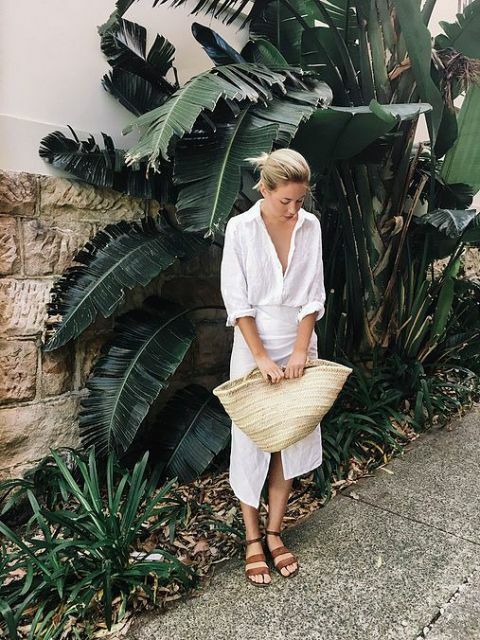 But everything has changed and now you can see straw bags every day as additions to casual, beach, travel and even party and office looks. 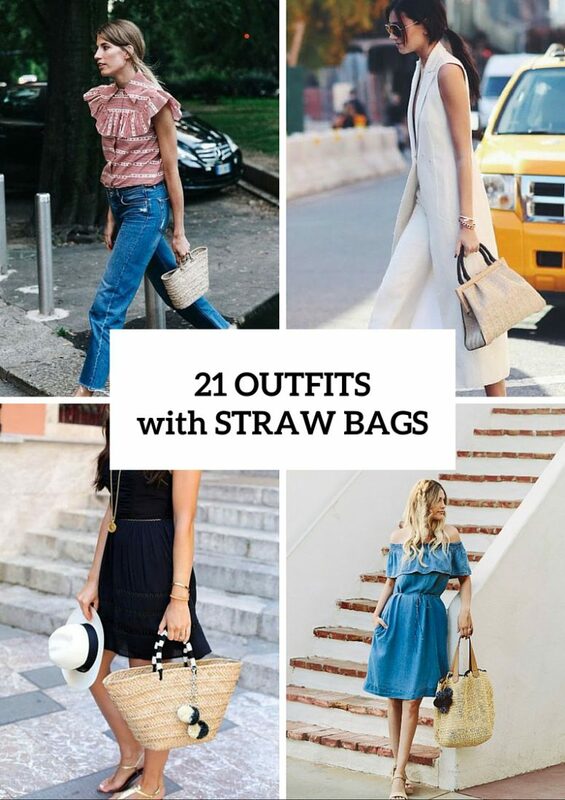 Today we’ve collected some cool and adorable outfits with these bags, so let’s find out what type of a straw bag you need! 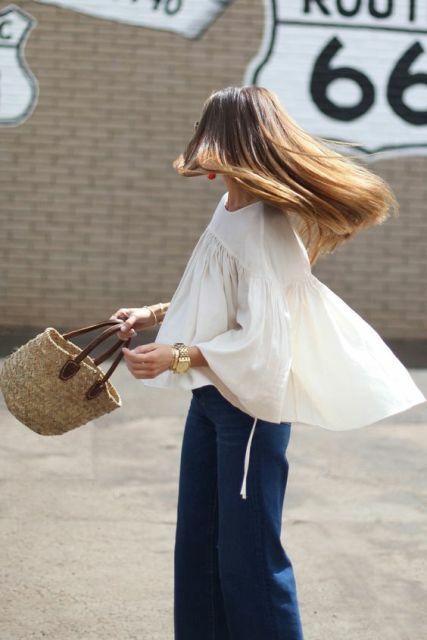 At first, decide what size of the bag you want: small, medium or big one. I think it will be perfect to have all of them and change according to the occasion. 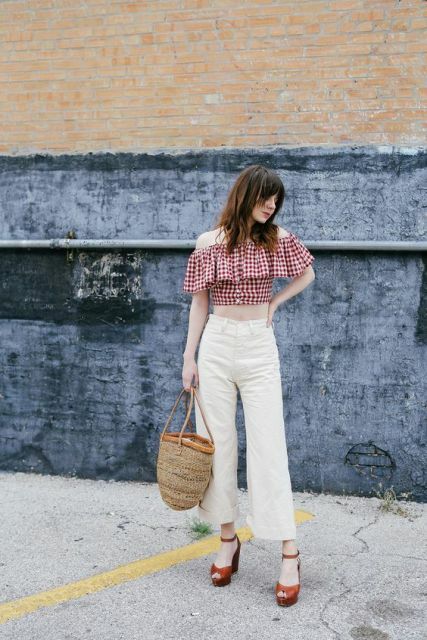 Big totes will be great for beach and travel looks, medium ones — for casual looks and mini bags — for cocktail party looks and casual ones too. But of course there are no strict rules! 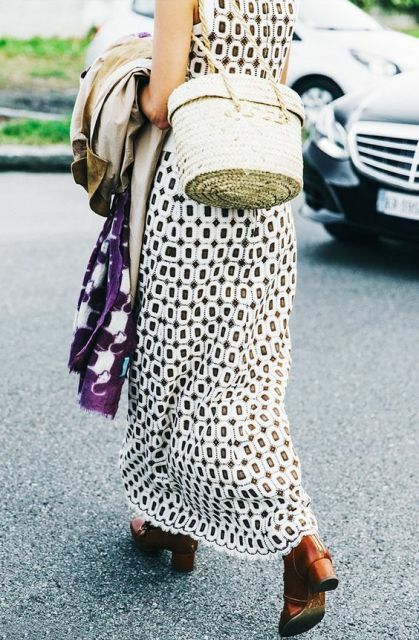 Usually these bags are available in a natural tone, but you can also find colored ones or bags with colorful or printed fabric and start to create a bright look! But of course I have to mention about décor details of a bag. 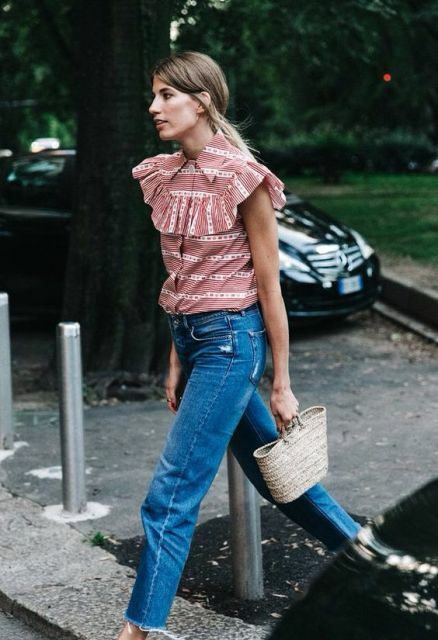 And you again have various options: pick up a minimalistic straw bag or find in stores or create with your hands a bag with tassels, beads, rhinestones, ribbons, etc. 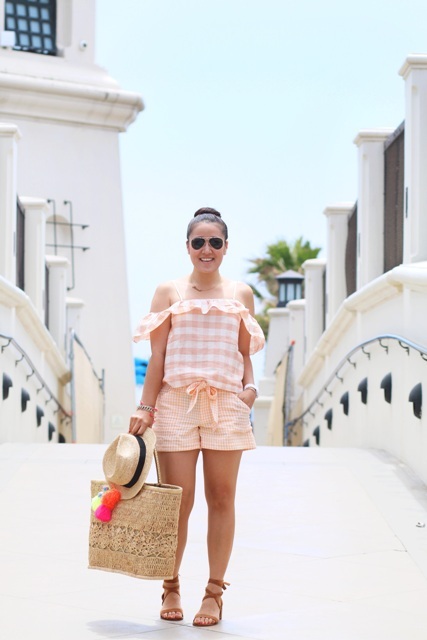 Wear a straw bag with ruffle dresses and blouses, off the shoulder tops and jeans, tunics and shirt dresses, button down shirts and skater skirts. I think you understand that it will be awesome with all clothes and accessories. So look below and find the right outfit for you to repeat. Get inspired!